As a follow up to my post on the theory of loose parts and the natural playscape, I thought I’d share some of the goings-on during playtime. 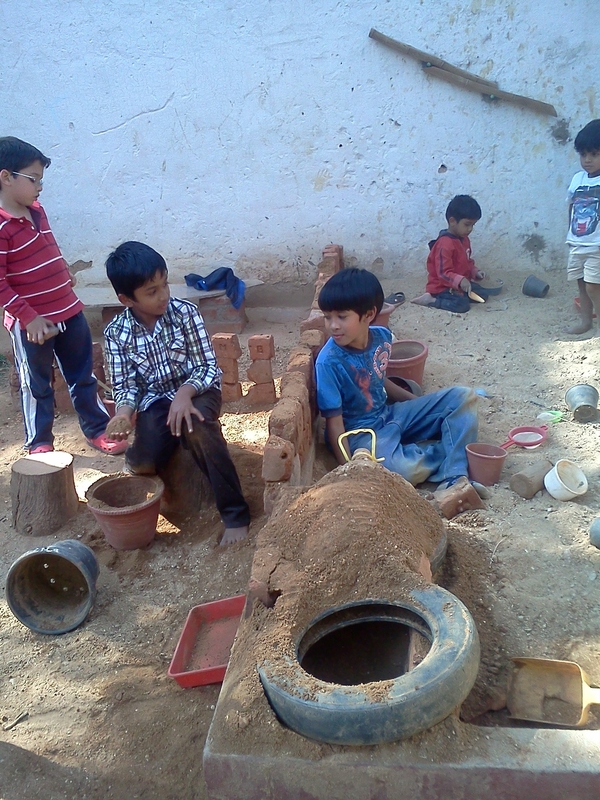 Free play at school has been becoming more and more creative and inventive of late. What’s more, we have noticed increased co-operation and fewer fights between the children. They have been gathering fallen flowers, leaves, sour clover, cast-away bamboo from their wood working, broken pots and anything else they can forage to make their own ‘shop’. Everything can be bought for a few rocks and they are most generous with granting discounts! 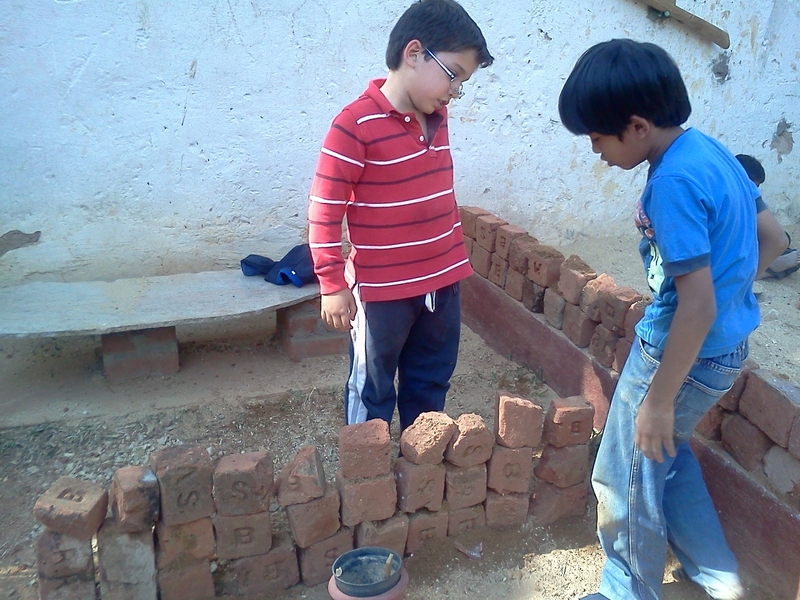 Beware the money safe – all the rocks are under the pots. If you try to get to it you will topple the precariously balanced sticks on top and leave a tell tale sign! 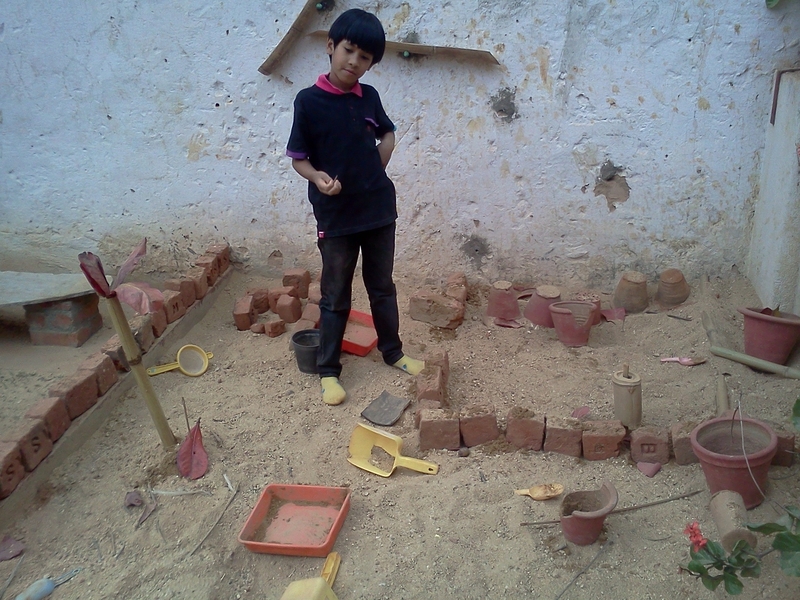 Meanwhile, the sandpit is coming alive with other wonders. 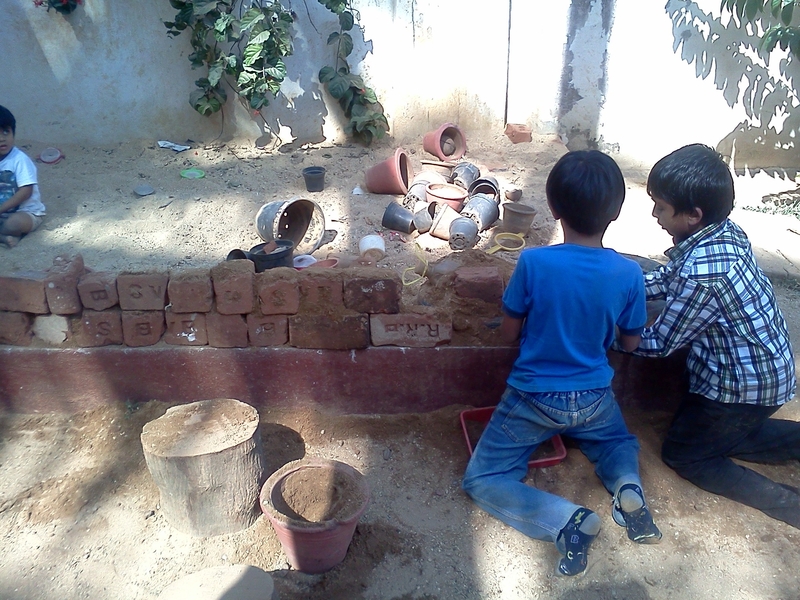 A found bottle, bamboo sticks, left over bricks from our amphitheatre and a few broken pots is all it takes! 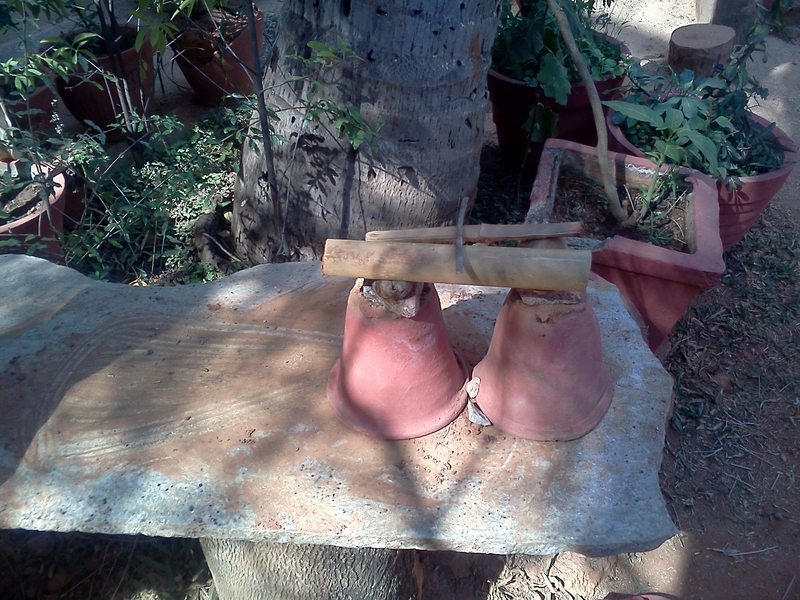 … and there exists an internal structure as well – bamboo sticks hidden in the sand are the pipes of the engine! … but what does one do with all these bricks? …. why, build a house ofcourse! Now that our school has some amount of outdoor space, I have become obsessed with how we are going to prepare the outdoor environment. The more I observe the children at play , the more I am convinced that a natural playscape is the way to go. I once read about the theory of loose parts and it stuck with me – the more loose parts there are for children to manipulate and move, the more inventive and creative is their play. …. 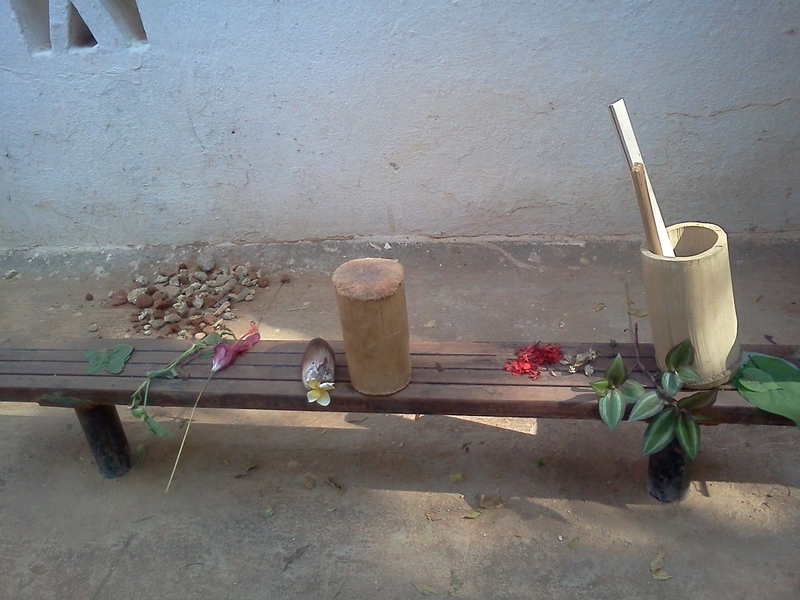 and nature is the supreme mother of loose parts …. Infact, even a tree or two is enough. 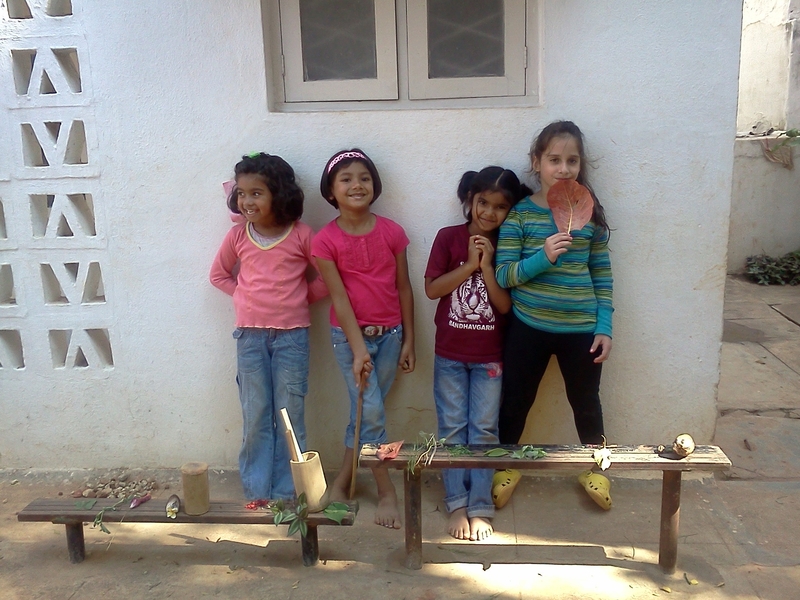 At our school the falling leaves of the badam tree have become purses, wings, belts, collars, hairbands, homes of fairies, necklaces, plates, spoons and cups. Their veins have become brooms. The fruit of the tree has become paint. Their tiny flowers have become rain. 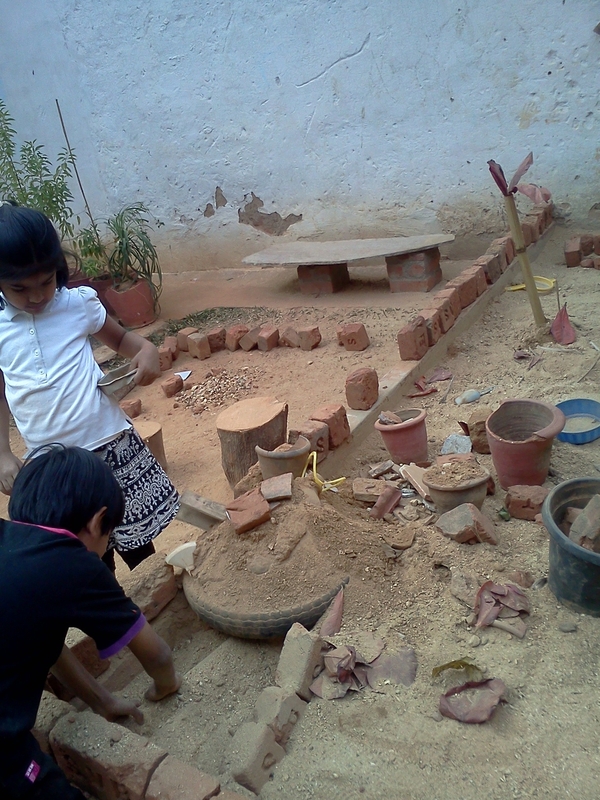 “It is unfortunate that children can’t design their outdoor play environments. Research on children’s preferences shows that if children had the design skills to do so, their creations would be completely different from the areas called playgrounds that most adults design for them. 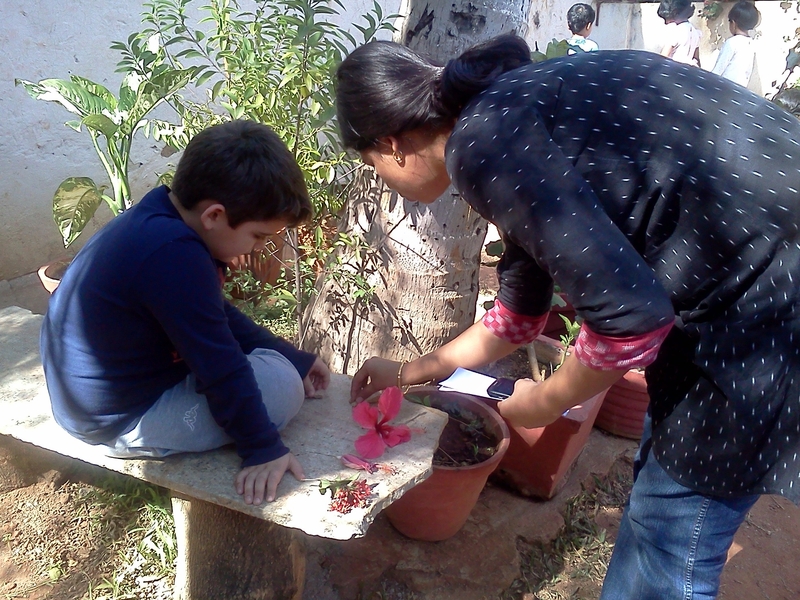 Outdoor spaces designed by children would not only be fully naturalized with plants, trees, flowers, water, dirt, sand, mud, animals and insects, but also would be rich with a wide variety of play opportunities of every imaginable type. If children could design their outdoor play spaces, they would be rich, developmentally appropriate learning environments where children would want to stay all day”.